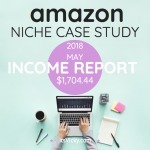 In this niche site case study part 2 we will take a closer look at the first 3 months. We will dig deeper into traffic, rankings, and earnings. 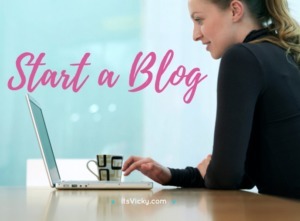 When first starting your blog your main focus should be to create quality content on a regular basis. You want to get a solid content base for your site so that your readers get value and enjoy their visit. 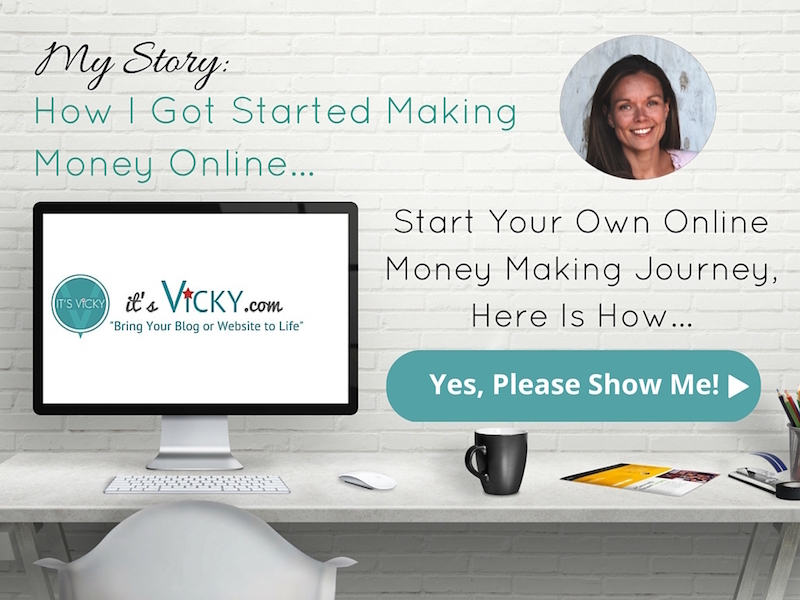 If you missed the first part on how to set up your niche site for success, you can read that post here. By doing a ”visitor profile” you know who you are targeting and who you are writing for. This is information that you can get by doing research online. I like to read through the targeted product reviews on Amazon to get a picture of WHO the person is purchasing the products I will be promoting. I also go on niche forums to see who hang out there and ask questions about my specific topic. In the 6-month case study update, we will be digging deeper into Google Analytic to evaluate the ”visitor information”. You can get a lot of valuable information about your visitors using Google Analytic, so make sure that you have that installed on your site. 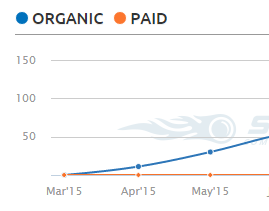 What Did I do to Get Traffic the First 3 Months? Content Creation – the main focus the first months is to create good quality content that will create value for my visitors. I focus on a ”Top 10 review” page that will link to 10 different in-depth product reviews. When this is done I can create helpful content on relevant topics to link to the ”Top 10 review” page. Outsourcing – I also found a writer so that I can outsource some of my content writing. I will create the main pillar articles myself such as the in-depth reviews. I will then have my writer create content on long tail keywords, to point to the ” Top 10 review” page. For more info on writing headlines visit my post 5 easy ways to write a catchy headline. The frequency of post submission – Personally I find the WordPress scheduling feature being my best friend. This allows me to submit my posts ahead of time and schedule them for a specific date and time. This makes it easy to plan ahead and submit content on a regular basis. I can also be ahead of the posting schedule by a month or so. With this site, I submit blog posts twice a week, Tuesdays and Fridays. Keeping this schedule will allow me to submit 104 posts yearly, over time the site will grow steadily. I do have plans in the future to add at least one more post weekly. I don`t want to take on more than I can handle though (since this is not my only site). Find a posting schedule that will work for you! That might be posting ones a week or ones daily, this is up to you. Go with something that will work for you long time though. Social Media – I did set up a Twitter account for this website. I tweet some of the posts to get the word out there. I also use Pinterest to pin the pictures on the site. YouTube – I am a big fan of using videos to get traffic. I created a couple of screen-cast videos but this is definitely something that I want to get in the habit of doing more of. What I`m looking for here is a positive trend, we want the curve to go up. It’s a good trend with increased users so I`m happy about that. 75% bounce rate. I`m not too concerned about that either. Some of the traffic goes directly to the in-depth reviews and if it does I want them to click through to Amazon. If they do that means that they bounce off the site after only visiting 1 page. My goal was to reach 1000 visitors, so that goal I met, good start. What Did I do to Get Rankings the First 3 Months? To be honest I`m not too concerned about the rankings when first starting out. This is not something I spend a lot of time checking. This is, of course, important over time, but if you submit helpful well-written content with value it will rank. Here are a few additional things that I did to improve the chance of good search engine rankings. Use of long tail Keywords – I use long tail keywords. These are keywords with lower search volumes but they are often easier to rank for. Having lots of long tail keywords rank well for you, will over time help you increase traffic. I use this keyword tool to find my keywords. Use of internal links – I link between the content on my site. If the content is relevant to posts and pages, I link them. Link out to other authority sites in the niche, outbound links – Linking out to other authority sites, will benefit you. This is something that proofs to the search engines that you want to provide value by giving your visitors more relevant information even though it`s not on your own site. What About Inbound Links? – In this case, I did use a couple of social media accounts to build some incoming links. Other than that I have not done much actively to do any link building. The same goes for rankings as for traffic, I want to see a positive trend and curve. The more content I add the more rankings I want to get. Like I mentioned, good content will do that for you. I use SemRush to check on my rankings. With you can do a certain amount of searches daily for free, so take advantage of that. They give you a great overview of your rankings. As you can see we have a positive trend with the keyword rankings. It`s all free organic listings. Another tool that I use to check rankings is Jaaxy. You just type in your keyword and the URL of your site and Jaaxy will check your rankings. The great thing is that if you come back and check the keyword you can see the position change as well. What Did I do to Get Sales the First 3 Months? Content – the first 3 months I worked on getting good quality content on my site. I worked on a Top 10 review page, linking to in-depth reviews. This took some time to get all this setup. Why monetize with Amazon? To be honest I`ve stayed away from Amazon for years. 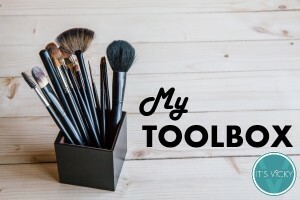 I always thought why to spend the time making a few dollars per sale when you can make a ton more promoting downloadable products for example. I find that Amazon products convert well, very well if you send targeted traffic. People are very familiar with Amazon and not afraid to open their wallets if they find the product they are looking for. Amazon also have unlimited products to promote, which makes it nice for us affiliate marketers. Send the customer to Amazon and get paid for everything they purchase within 24 hours. You will get surprised about some of the items they purchase. The holidays are great for marketing physical products. For this site and case study at least starting out Amazon will be the major monetizing method. If you want more benefits monetizing with Amazon check out this article – 6 benefits monetizing with Amazon. So looking at the sales how many sales did this site generate the first 3 months? My goal was to reach 10 sales monthly by month 3, I didn`t reach that goal but at least I`m seeing some sales. That`s good since it`s a new site. Sub-niche 1 that I work with is geared toward the winter months, it`s a little bit of a seasonal product. So I`m not too surprised with the sales numbers. The traffic is going in the right direction, the rankings are going in the right directions, so I`m not too worried about the sales numbers going down. Sub-niche 2 will be an all around year product to balance out the ups and downs with the seasonal sub-niche. I`m excited to see how long it will take to get the site to making me some money. With any new site or business, you will have to be patient. In the 6 month post, we will also take a look at conversions. I like to do that when I have a little bit more numbers to go on. I want to continue submitting 2 posts weekly, content that I outsource. I also want to create a couple more pillar articles. 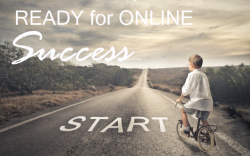 If you missed Part 1, How to set up your niche site for success you can read that here. Now live… Part 3, 6 Month Update Is the Site Out of the Red Yet. I hope you enjoyed this article, 3 Month update of this Amazon case study, read the latest update on the site here. I would love to hear from you, feel free to leave a comment below. Have a productive day and a great week! Once again, wonderfully in-depth post! It’s encouraging to see the success you had by doing simple things that are also completely ethical. I really like that you focused on content and gave people buying options that they already knew and trusted. Two blog posts a week sounds perfectly manageable, especially when you consider that it will generate over a hundred blog posts in a year! It is the building over time, that will create more and more content and more and more visitors. Setting a schedule and sticking with it, will greatly benefit. Some say that you will “sell” more only giving one alternative. My take is that if there are different solutions for different problems and people all though it`s the same type of product, why not present it all so that the visitor can get the right solution for them. Our visitors are smart consumers that know what they need, saying there is only one alternative… well that`s simply not true. That`s why I like giving them the alternatives outline the good and the bad and leave the decision making up to my visitors. you’re growth in traffic is amazing. And just for using the right long-tailed keywords. WOW. Great to see. 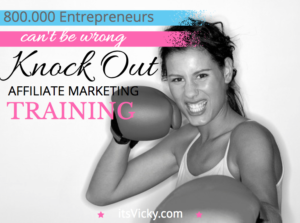 Do you get any traffic coming from pinterest? I’ve the feeling pinterest is the worst social media ever. To generate followers is almost impossible to me. Do you have a tip? Pinterest is actually one of the social media outlets that I enjoy using. I think though that there are some niches/topics better suited than others. Some topics are more visual than others but you can always implement fun relevant pictures even into a niche like online marketing. As with any social media you need to interact with other users and provide value. 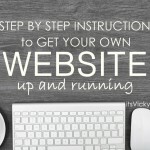 Enjoyed the read and I definitely picked up some tips for my own site. I am still very much in the learning phase with online marketing and information like you provided can only help. Like the fact you posted real earnings. You have stated you prefer working with Amazon. Have you worked with Clickbank and if so what is your opinion on them? Enjoyed this article Vicky. I really enjoy it when things are broken down clear and concise. Its refreshing to see such transparency with niche builds. I will be coming back for sure! Very useful information Vicky. It’s good to see a case study that is well written, easy to read and understand..
You’ve seemed to cover everything, which makes it a very resourceful site. So you are writing the pillar article AND the 10 in depth reviews? or are you outsourcing the 10 reviews, writing the “top 10…review” page and then posting them all together to start? I’m a little confused, I thought you were just writing 2 pillar articles a month. Please help me understand! Yup, makes sense. Thank you! 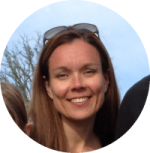 I am excited to find a great writer to work with and great an awesome site. How many word articles do you usually get them to write? $6 an article seems so cheap! Hi, I now usually pay $7 – $8 for 500 words + articles.